Just few more days remaining for the winner, Bigg Boss Malayalam Finalists are Srinish Aravind , Pearle Maaney , Sabumon Abdusamad , Shiyas Kareem and Aristo Suresh . 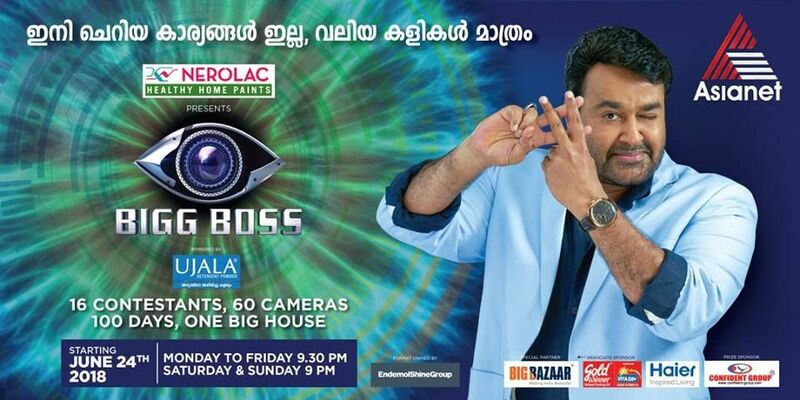 Asianet completing the first season of popular reality show bigg boss malayalam season 1. Malayalam actor Mohanlal was the host of the show and channel is planning it’s second season. bigg boss earned decent trp ratings for asianet, they will resume comedy stars season 2 from next week. Sell me the answer season 3 scheduled to air every saturday and sunday from next week. Archana Suseelan evicted from the show yesterday and now 5 more people existing in the bigg boss house. Sabumon Abdusamad is one of the most popular housemate of the show, he is getting huge support from viewers. He is one of the possible winner of the show, Sabu is become popular through the television show Tharikida. He is also known as Tharikida Sabu, appeared in many films also. Aditi Rai is another bigg boss housmate reaches the finals, she is appeared in many films. Aristo Suresh also listed in the last 5 contestants of the show, he is also getting huge support from viewers. Television anchor and Actress Pearle Maaney is another finalist of malayalam version of bigg boss. As mentioned above Asianet will air the finale on this sunday, 30th September 2018. Srinish Aravind is another person reaches the final stage, Archana Suseelan and Basheer Bashi are contestants recently evicted from the show. viewers of bigg boss malayalam getting a chance to support favorite contestant through voting. we have already posted about the bigg boss voting system here, you can google and vote for any of the above. We will get the answer to this in few more days, as per current info asianet planning the second season of the show. All the latest episodes of the show available through hotstar application and you can watch the grand finale this sunday through asianet and asianet hd channels.